Moldovan politics, like that of many other countries, is controversial, at times despicable, and hardly ever promising, yet even those rare moments of encouragement turn into disappointments sooner rather than later. Regardless, people still have to entrust politicians with second chances of making things work better even if past experience offers little hope. Yet again, elections have passed and nothing has really changed. One would think that two relatively young but accomplished professionals like the new prime minister and the new speaker would become truly inspirational figures and boost credibility of the ruling establishment – nothing could be further from the truth. The two got appointed as a result of backroom horse-trading, but more importantly, they are mere figureheads. True power lies with party bosses, who have circumvented the Constitution and are effectively ruling the country from the shadow with zero public scrutiny and no accountability. 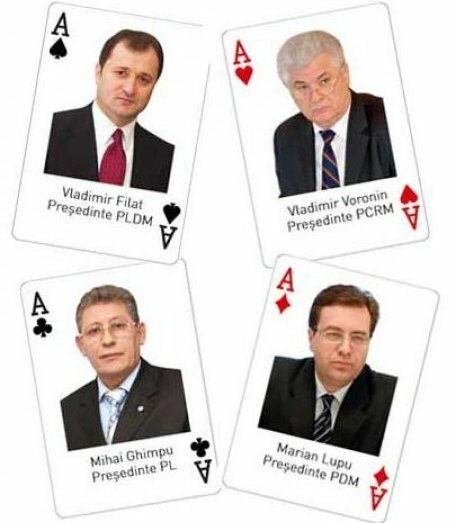 This is the Moldovan House of Cards. Fictional president Frank Underwood refers to the US Congress thusly: “I spat in one eye, might as well spit in the other.” Similarly, that is how Moldovan politicians treat the public. There is a complete and utter disregard of citizens. Of course, one can point to soviet past and even tsarist legacy, but it is no excuse for today’s public mismanagement, corruption and outright fraud. It goes without saying that Moldova has too many disadvantages: no valuable natural resources, cruel history, and divided identity. Thus, human capital appears to be its only asset. Yet, politicians stubbornly fail to recognize that and continue to regard people as disposable, resulting in a massive brain drain that erodes whatever little chance is left for a brighter future. Sadly, a brighter future is hard to come by as long as you are still caught up in predicaments of the past. The Second World War is still a matter of political debate – how to call it, which veterans to praise and which not to, how and when to commemorate it etc. Then, it should come as no surprise that Transnistrian War is even more contested: how to call it, how many belligerent parties, what were the causes… There is one undeniable truth – lives have been lost, families shattered, the country crippled. Today is the 23rd anniversary of the 1992 War in Transnistria. Still, too many on both bank of the river have not yet found closure. The ghost of that war still haunts the region now more than ever. If only politicians on both sides could rise to the task of bringing people closure by acknowledging the indiscriminate nature of that senseless killing, yet they prefer to speculate and use the war to score political points. You often hear that once Moldova becomes better off, Transnistrians will start to gravitate naturally towards reintegration. It is safe to say that Moldova is under no risk of suddenly becoming rich. However, this materialistic stance is flawed. Moldova need not become rich, though it may help, for Transnistrians to feel they have a future inside Moldova. All that is needed is for Moldova to become normal – less corrupt, more open minded, honest about its past and present, and hopeful of its future. This is no easy task, but if Moldovan house is to stand it needs more than just luck. It requires painstaking statesmanship and not the kind of gambling we have witnessed in the last 23 years. This entry was posted in Moldova, New Goverment, Politics, Transnistria and tagged Moldovan House of Cards, Moldovan politics, Politics in Moldova, Transnistria, Transnistrian War. Bookmark the permalink.